Do you remember a few days ago I said that I wasn't really feeling any cute designs? Well, forget that, my new MeeBox is here and it's a cuteness overload! 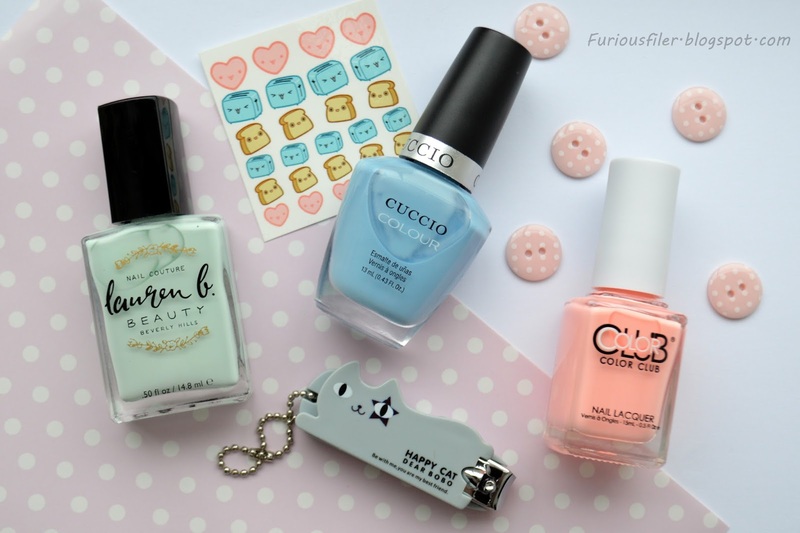 We have pastel shades and a few nail goodies that will help you create the sweetest manicure in no time. As we all know by now, I am no expert in painting flowers. The thing is though, I like the odd floral design every now and then but the whole idea of shading really puts me off. And by puts me off I mean I can't do it. Is there any way to avoid it? Yes there is, daisies! I am totally not feeling any cute Easter related nails this year! Just the thought of trying to stop my hand from shaking while attempting for the 10th time to paint cute bunny ears makes me want to lose it. Still, Easter is fast approaching and there's no way I'm missing out. After all, you only get a chance to do it once a year! Ever since the first Batman vs Superman trailer came out I've had to listen to my boyfriend's 'Christian Bale is the true Batman' monologues. Yep, the struggle is real guys! I'm hoping that once we watch it the rant will finally be over. I mean, let's face it, as long as Henry Cavill is still Superman, WHO CARES?! Today I want to show you a new nail polish brand on the block, Winkel Nails. As a nail polish addict I love trying new brands. What's made me want to give this one a go was that the polishes I'm about to show you are 5 free and cruelty free. What's not to like? For those of you who are not familliar with those terms, it means that the polishes are free from the 5 main toxins and are not tested on animals. I was kindly sent two shades of my choosing and another two extra so let's have a look! Today's post is a rather special one! I want to show you a birthday gift I got from my boyfriend. True, my birthday is not until the 29th of this month but there was this great offer on QVC so he went for it! I don't know how you feel about shopping channels but I was definitely sceptical at first. Long story short, I am now ordering my favourite skincare brand through it and the best thing about is that if you don't like what you've ordered you can send it back. I can tell you now that this set is definitely not going anywhere! I have something different to show you today. I wanted to try gel nail polish FOREVER so when the lovely people from Foxy 21 asked me to review their products I was over the moon! I have had a few gel manicures before so I get how it works but believe it or not, I have never actually done it myself. As this is new to me, I'd love to hear what you have to say about the polishes I'm about to show you! Foxy 21 is a brand that just launched in the UK and it has a new and improved formula compared with its predecessor who has been successfully shipped to at least 30 countries worldwide. I have to say I love the look of the bottles. They look very professional and sleek! Each one contains 15 ml of polish. This gel polish sets under UV and LED light. I used my LED lamp and had no problem with the curing. I was kindly sent a base and top coat*, a few different shades*, a magnet* and some removing pads*. 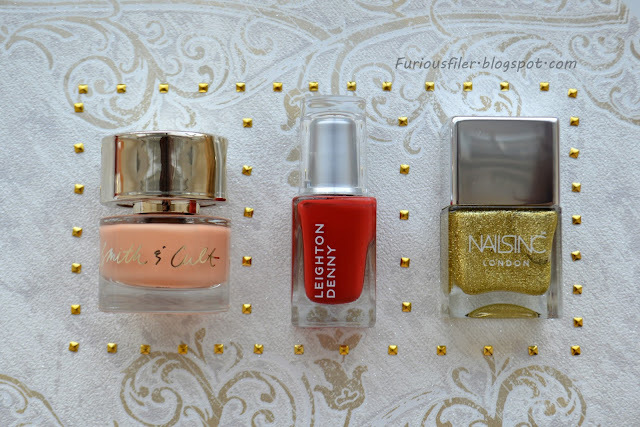 Today I want to show you my 2 favourite polishes. Let's start with this beauty. Number 1343* is a very bright and a rather raunchy red! It was very pigmented and I didn't have any problems with the application. I did find that there were a few tiny bubbles as I was applying the polish but they had disappeared once the polish was cured. The top coat made my manicure really glossy but it left a sticky residue that I removed with a lint free pad and an acetone free nail polish remover. Next up is a hybrid of a thermal polish and a cat eye effect (Number 095*). The polish shifts between grey (when warm) and purple (when cold). I assumed that since my hand was warm I needed to put my hand in cold water to see the colour change. Imagine my surprise when I did just that and nothing happened. I cleary have really bad circulation! I think to fully appreciate the gradient effect you need to let your polish 'adjust' to the temperature of your hand. As soon as my polish was cured I immediately submerged my hand in a bowl with water. It did change colour but as my hand was getting cooler the colour shift became a bit blotchy. No wonder, I just got it from a hot lamp to room temperature to hot water again! As I was wearing it throughout the day it levelled itself out and the warm to cold change was a lot smoother and more gradual. The polish is full of scattered holo and it became a lot more obvious when I used a magnet to create a cat eye effect. All you need to do is hold it over the nail for 10 seconds just before curing the polish. It was a bit hard to capture it in the picture but when you move your nails you can see this cool 3D effect like a crystal ball! 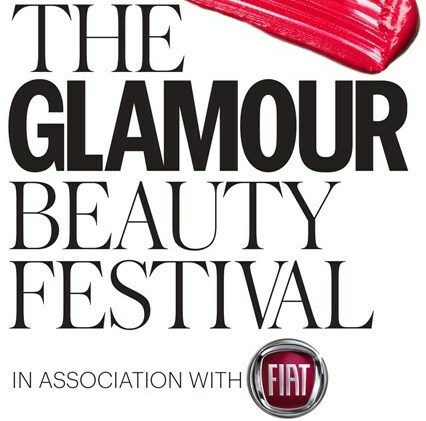 Yesterday I attended the Glamour Beauty Festival which was a two day event that took place at the Saatchi Gallery in London. I had so much fun and got so many goodies! I first thing I did as I arrived was attend the 'Beauty x Social Media' talk. The panel included Jim Chapman, Fleur de Force, Estee Lalonde and Glamour Beauty Editor Alessandra Steinherr. It was really awesome to listen to their experiences and advice. I was so happy they got to answer my question because it has been really bugging me, although I was so nervous I don't know how they made any sense of whatever I said! I know what you're thinking, whose nubbins are these?! Bear with me, there's an explanation! 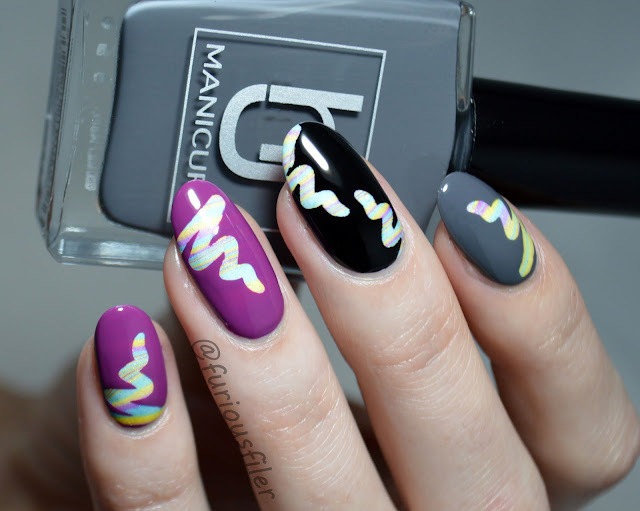 Basically, I came across a nail art contest that required recreating a wall flower design. The nail art was done by The Illustrated Nail and it was gorgeous! Like, to the point were I 'recreated' a pretty much identical design...so you'd be surprised to know that I didn't win! WHAT?! I know right, what a joke. To me, the negative space trend is designed to be worn during summer. It's almost as if you want to show a bit of naked nails just like you would uncover your legs on hot days! If I lived in a hot country, I'd probably wear this kind of design more often. But I live in England where 'summer' usually appears in a sentence starting with 'I remember 5 years ago we had a really lovely summer....'. So yeah, high temperatures may not be a given but alternatively you can just show the weather the finger and rock negative space nails anyway! There are a few things I never thought I'd be doing and a free hand paisley design would definitely be up there. I'm sure that's what stamping plates were invented for in the first place. I mean, seriously who's got the time for that?! This girl, apparently. Let's talk vinyls. I have to admit that vinyls and I have a love-hate realationship. I really like the different effects you can create but the fact that my nails are very curved makes it a bit complicated, not to mention, BLOODY ANNOYING! But recently I got myself a couple of vinyls from Twinkled T and I have to say I'm so happy with them! I used the scribble pattern to create this colourful design. 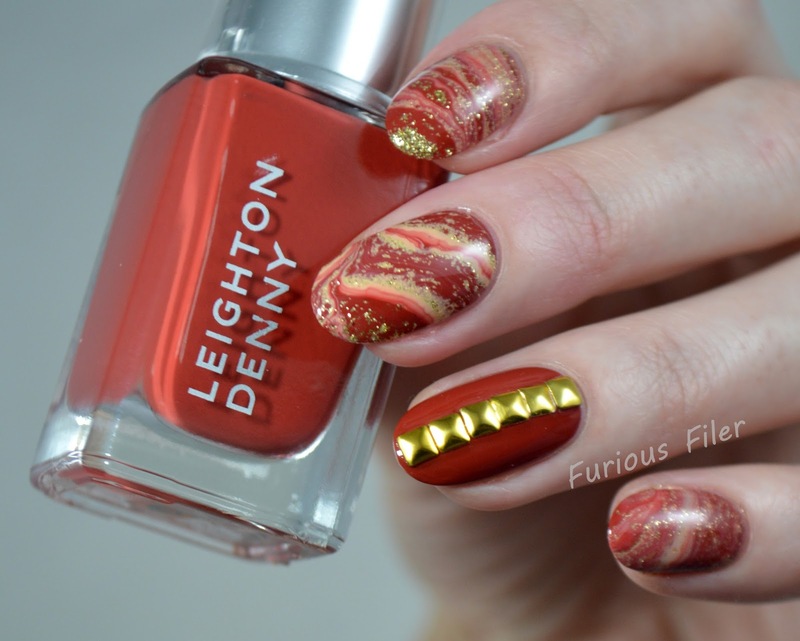 Today I want to show you yet another gorgeous polish that has been sitting on my shelf for a while and it's an absolute stunner! This is Pretty&Polished and it's aptly named 'Heart of the Ocean'. It's a blue jelly with lots of larger and smaller metallic blue glitter pieces. It's my first ever polish from this company so I wasn't sure what to expect but just look at how beautiful it is! Can you believe it's been a month since my first ever MeeBox* landed on my doorstep? Time sure is flying! MeeBox is a subscription box for nail art addicts with a different theme every month and lots of goodies to go with it. Listen I like nail polish as much as the next girl but surely owning 200+ bottles makes me more of an enthusiast?<nervous laugh> Perhaps I'm in denial, I'll let you be the judge of that! I absolutely loved last month's treats so much so, that I dedicated two separate posts for the review and nail art. The Red Carpet themed box is no different so here are the swatches and the nail art is coming in the next post!